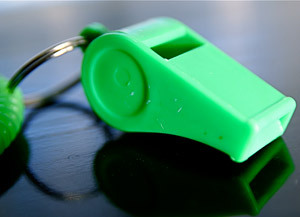 We’ve become increasingly dependent on whistleblowers to signal to society that something has gone wrong in government, industry or commerce, writes Bea Edwards. Over the past half-century, national governments have developed complex regulatory structures to oversee public health, banking, utilities, food safety, communications, transportation and other industries. By the 1980s, however, the United States and United Kingdom began pushing the policy pendulum in the other direction – deregulating industries sector by sector. Through international organisations, governments around the world imported deregulatory policies and imposed them on their own economies. Since then, we’ve learned that the market alone cannot right itself when it is fundamentally destabilised by inequality or impropriety. Without the regulations we once had, we’ve become increasingly dependent on whistleblowers to signal to the larger society that something has gone wrong in government, industry or commerce. Whistleblowers became the regulators of last resort. Whistleblowers do not, however, have the protection and force of government regulators. When they make disclosures in the public interest about wrongdoing, they enter into an extremely unequal battle from which they rarely emerge unscathed. A corrupt employer will ruin a whistleblower in order to protect an illicit operation. Those of us working to protect whistleblowers have learned this the hard way. It is encouraging to see the growing number of governments now adopting whistleblower protection measures or strengthening those already in place. Still, much work remains. Many national legal systems provide little or no protection from reprisal, and many laws are riddled with loopholes or weakened by generalities. In an era of concentrated economic and political power, whistleblowers take enormous risks when they come forward to expose dangers to the public. A single individual, even one armed with the truth, is never in a strong position when challenging a large, entrenched interest. Because we owe them so much and must depend on their disclosures in fundamental ways, we must strengthen protection for whistleblowers and defend them aggressively. ← Leaks, press freedom and state surveillance: is this our fight?